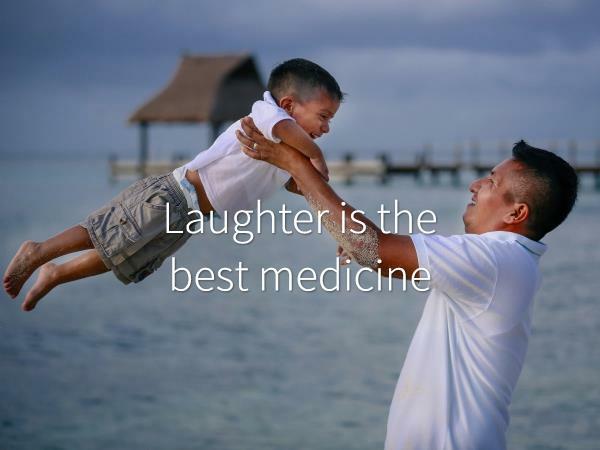 Laughter is still the best medicine! It releases ‘feel good’ hormones including endorphins, serotonin and dopamine into your bloodstream, making you feel uplifted and more positive. A good healthy laugh fills your lungs with air and residual air that sits around in the bottom of your lungs. With this extra oxygen to the cells of your brain and body you feel an increase of energy. So tell a joke, make someone close to you laugh, just once a day and you’ll be happier for it. Or have a spin at our obstacle course for a good laugh! And the world smiles with you. A morning smile, hello smile, cheers smile, food smile, there are so many reasons to smile and it’s so easy. Smiling is a simple way to pay it forward. In fact, I wonder if you’re smiling right now as you read about it? If so, you’ve just unlocked a door to happiness. Now, give someone else a smile and see how the chain starts. Stay positive and take the chance to re-evaluate what’s important to you. Think of things that you could be grateful for and start writing some goals. Once you move to a game plan you’ll see the good that comes out of it. Once you’ve seen the silver lining, remember to reflect - use that cheat code you’ve just found in yourself and remember how to use it the next time you need it.